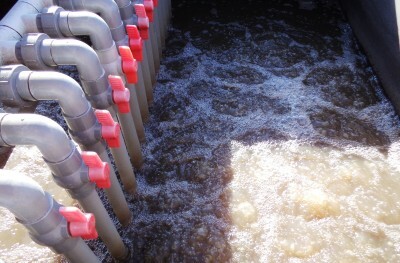 AlphaNutrients is a custom-made product which provides essential micronutrients to biological water treatment plants. The role of most trace elements is in assisting enzymes to function. Iron, for example, plays a crucial role in the energy-harvesting metabolism of most microorganisms. In biological treatment systems, the efficiency of the plant is directly dependent upon the growth of the bacteria and their ability to consume a particular nutrient or contaminant. Adding micronutrients improves the bacteria functioning on a cellular level, thus improving overall plant efficiency. Every plant is different. The type and amount of micronutrients available in the feed water differs for every site. To make sure you get what you need, we take a sample of your water and have it analysed for micronutrient deficiency. We then provide you with a custom micronutrient mix containing the required elements in correct ratio for that specific plant. We will also recommend the dosing amount for any major chemical addition that is required. 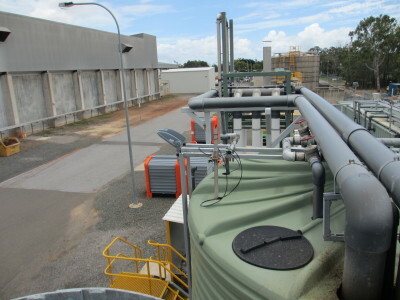 Micronutrient addition was trialled on a pilot plant designed to consume high levels of organic nitrogen in water taken from a full-size groundwater treatment plant. The bacteria were supplied with oxygen and fed molasses at a suitable food-to-biomass ratio. Under these conditions, nitrogen removal was measured at 10% of plant design over two days. At this point, micronutrients were added according to the deficiencies measured in the water. Nitrogen removal levels increased to 105% of plant design over the next day, resulting in a total nitrogen discharge concentration of less than 8 mg/l, compared to a feed nitrogen concentration in excess of 500 mg/l. Download our Micronutrient Brochure for more details.